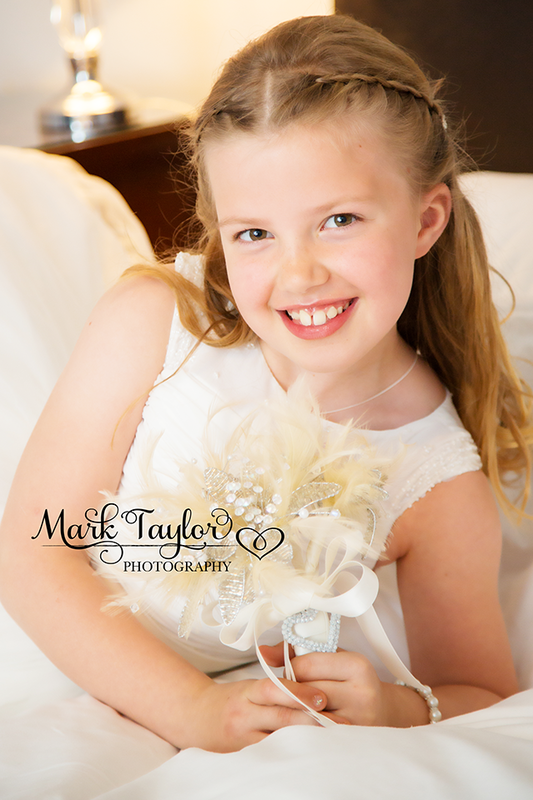 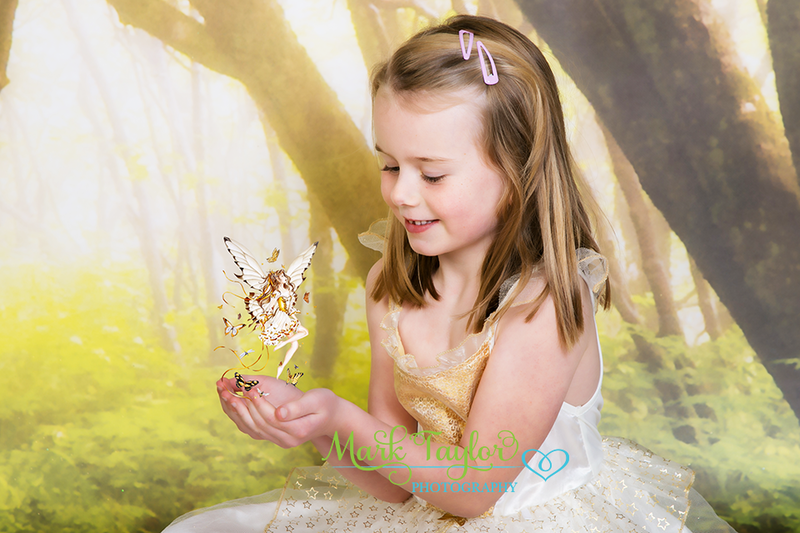 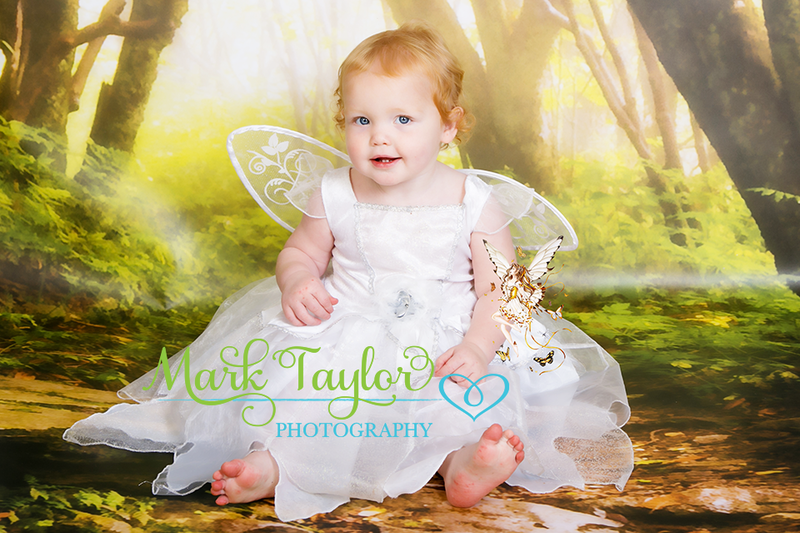 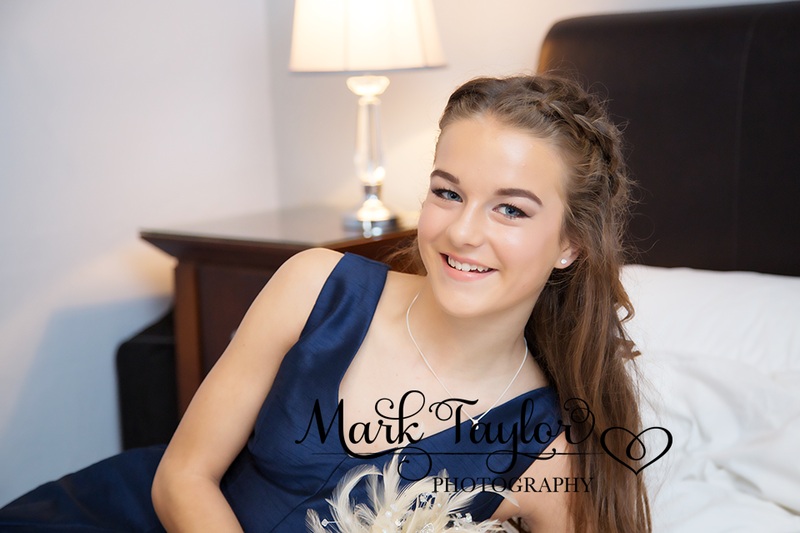 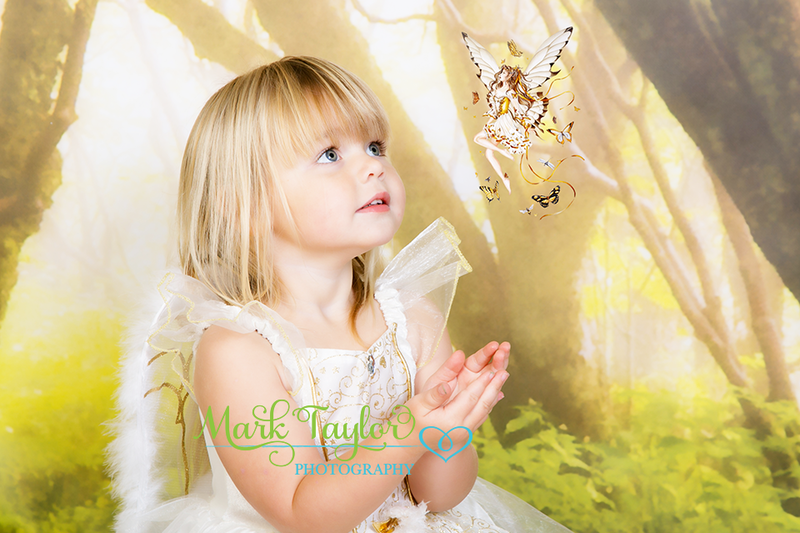 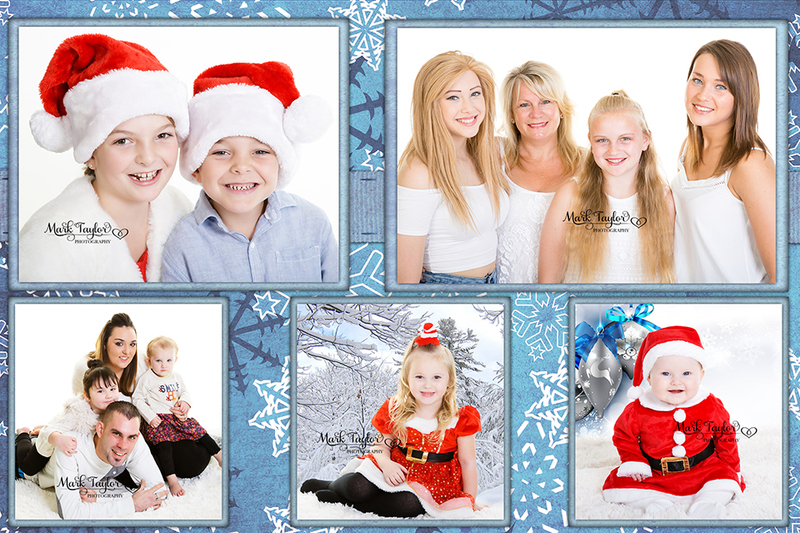 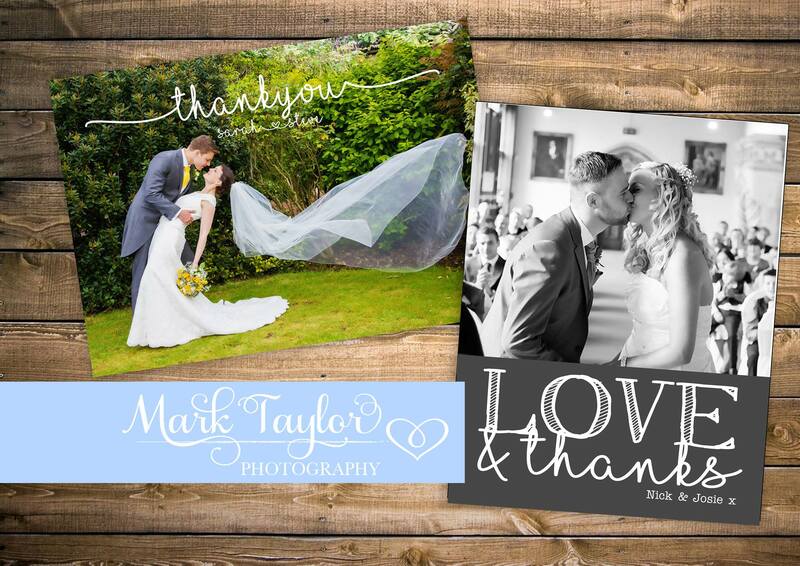 Mark Taylor Photography works with a specialist company to create stunning Thank You cards that cannot be bought on any high street. 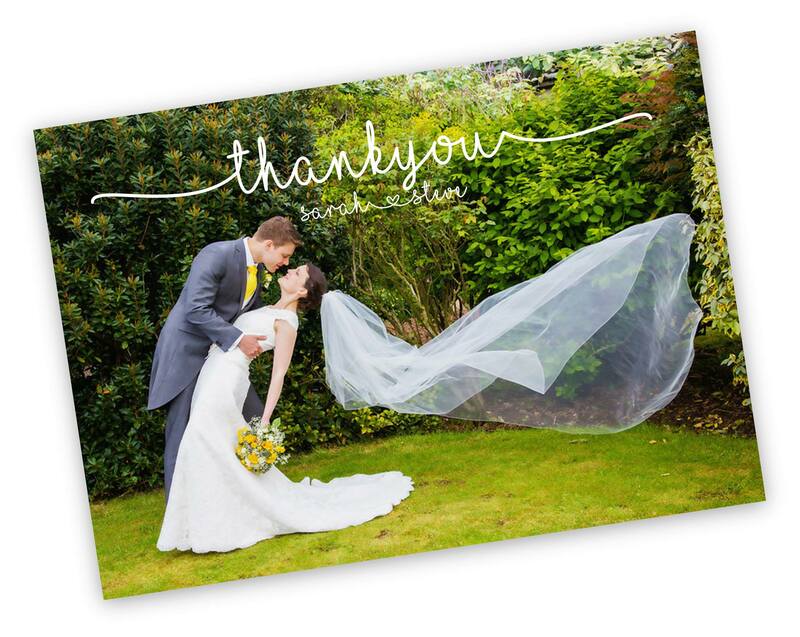 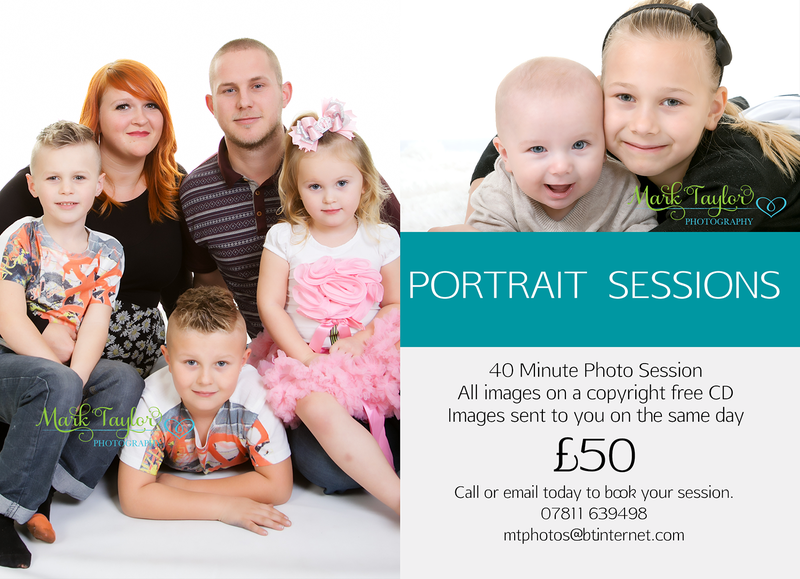 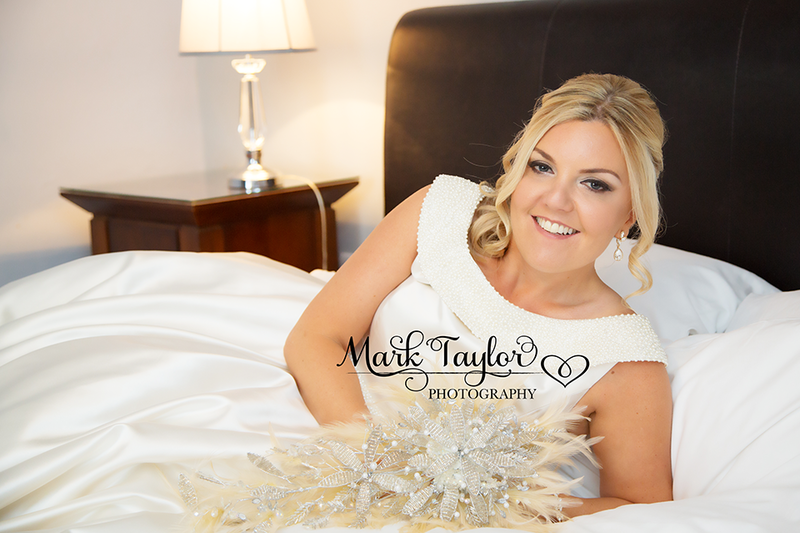 Your choice of personal photograph from your wedding day is printed onto Silk (with Matt Laminate or Gloss Laminate) and the effect is truly stunning! 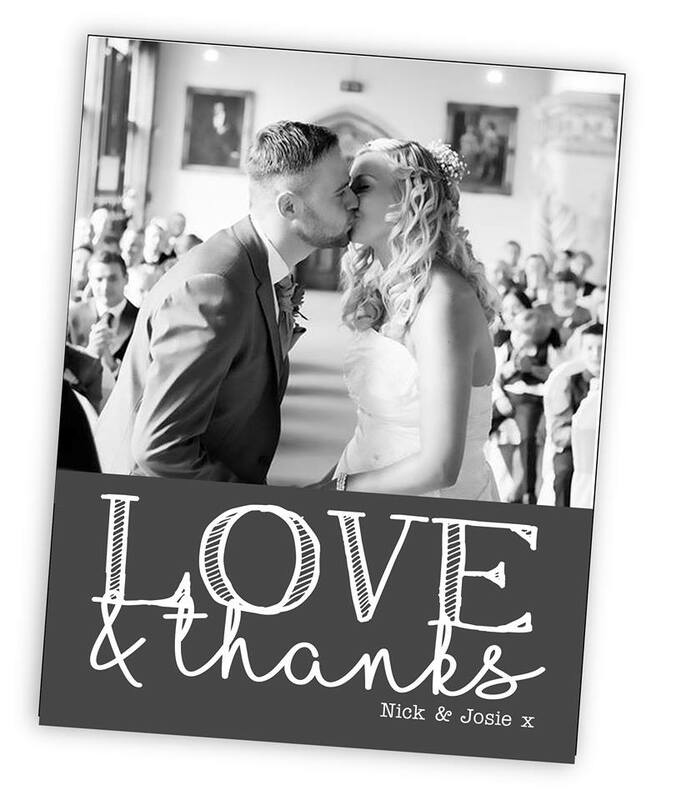 Using a contemporary layout and your personal wording we create your very own unique design. 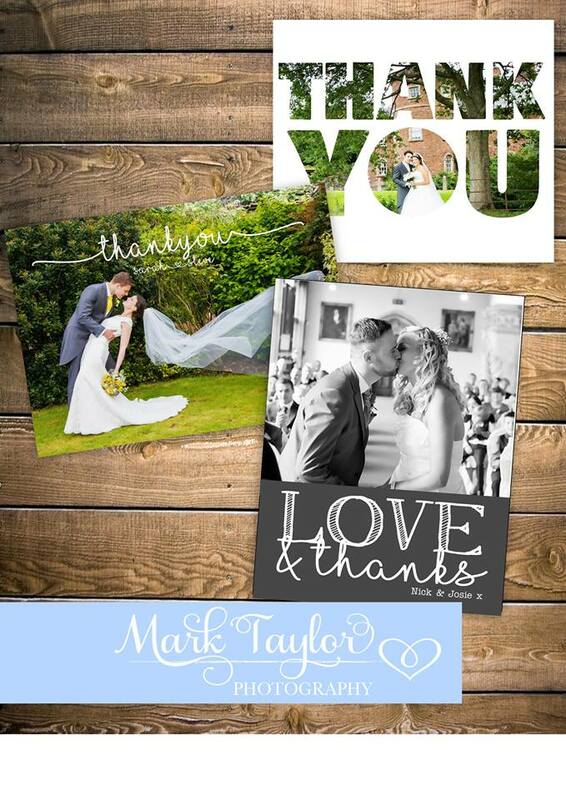 We can offer square or tall cards.